Zoya Spivakovsky was born in Moscow, USSR. She earned her undergraduate degree in English at Columbia University and went on to pursue graduate studies at the Moscow Graduate Directors Program at Moscow State Film School, where she studied under the renowned Russian filmmakers Vladimir Motil and Oscar-winner Vladimir Menshov. She has worked in both film and television as a producer, production coordinator, script supervisor, and post-production supervisor. In 2003, Ms. Spivakovsky launched Oyster Bay Media International, a Los-Angeles-based company dedicated to developing and producing high-quality entertainment products. 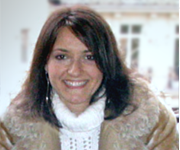 Ms. Spivakovsky is in charge of all of the financial, administrative and legal aspects of the AirSimmer Project. A veteran of desktop flight simulation. 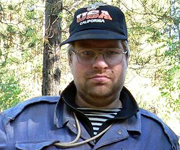 Prior to coming to the United States to pursue a career as an IT consultant, Vasiliy Kondratiev worked in Russia in various computer science positions, including the post of Mail Server Administrator at the Russian Federation State Executive Agency, before advancing to serve as the head of the Agencys computing department. 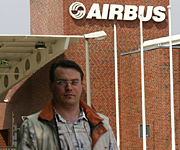 Vasiliy is the Head of the Airbus Division of Aeroflot Virtual Airlines. He lives in Los Angeles. Mr. Kondratiev is in charge of managing the AirSimmer team and overseeing all technical aspects of the AirSimmer project. Dimitri Samborski is a graduate of Moscow State University and Ecole des Mines de Nancy. He holds a PhD in computer sciences and has a consultancy business in the computer technology field. He resides in Paris. Founder of the Samdim Design Group, Dimitri Samborski has won numerous awards for his MSFS-related 3D designs and belongs to the elite group of the world's top SIM designers. He is known for having created the following aircraft designs for the MSFS: An-8, An-10, An-12, An-22, An-24, An-26, An-30, An-71, An-72, An-148, B767, Il-14, Il-62, Il-86, Il-96, Tu-95, Tu-114, Tu-124, Tu-126, Tu-134, Tu-144, Yak-40 and Yak-42. His designs are always highly anticipated in the SIM community and have been honored by AVSIM Gold Medals, FlightSim.com Gold Medals and the AVSIM Bravo Zulu Award 2005. Dimitri Samborski is responsible for the design of all the interior and exterior 3D models of the AirSimmer A320 Family aircraft. 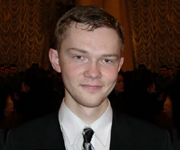 Denis Bessonov graduated from Saint-Petersburg State University of Aerospace Instrumentation, specializing in the study of Automatic Control and Information Processing Systems. He is currently pursuing a graduate degree in Electronic and Computing Systems Modeling. Mr. Bessonov has professional experience both as a video compression software engineer and as an embedded video compression software engineer. An avid simmer since first buying his FS2002, he has been working on his SIM developing skills since 2004. He lives in the city of Otradnoye, in the Leningrad region of Russia. Denis Bessonov is responsible for the design and programming of the AirSimmer A320 Family aircraft instrument panels & gauges, as well as programming of various aircraft systems. Nikolai Samsonov resides in Novosibirsk, Russia and is a graduate of Novosibirsk State Economics and Management University. A long-time member of the Samdim design team, Nikolai has played an integral part in the creation of a multitude of aircraft for MSFS: An-22, An-24, An-26, An-30, An-72, Tu-114, Tu-126, Tu-124, Tu-134, An-12, Yak-42 and Il-14 (Samdim Design), as well as the Tu-154M (Project Tupolev) and Airbus A400M (Wilco). He has also created a number of Flight Simulator air traffic aircraft: An-12, An-24, An-26, An-72, Tu-134, Tu-154, Il-18, Il-76, Tu-204, Su-35, as well as the Mi-8 helicopter for the Tolmachevo Traffic Team. He also worked with the AVSIM Traffic Team (CIS Traffic Project) to create the An-24 and the An-26 aircraft. 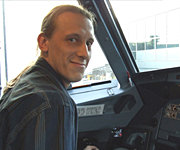 Nikolai Samsonov is responsible for all artwork, including all of the texture-mapping for the AirSimmer A320 Family aircraft, the creation of the AirSimmer A320 Family liveries and home livery concept, the creation of panel bitmaps and much much more. Born in Moscow, USSR, Alexei Antonov graduated from the Moscow State Engineering Physics Institute, Department of Theoretical and Experimental Physics. He received a PhD in nuclear physics, specializing in computer simulation of detectors in high-energy physics experiments. Mr. Antonov now resides in Hamburg, Germany and has created flight dynamics for the following SIM aircraft: An-22, Tu-114, Be-12, Mig-31, Su-34, Tu-104, Su-15 and two SIM helicopters, the Mi-26 and the Mi-24. Captain Alexander Miroshnichenko is an A32x captain at Aeroflot Russian Airlines. During his professional career as a pilot, he has accrued over 13,000 total flight hours on the An-2, the Il-76, the B734 (+2,500 hours), the A319, A320 and A321 aircraft (+1,300 hours), as well as a total of 25 flight hours as a test-pilot for the B734. 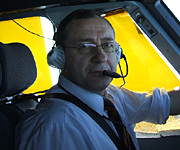 Captain Miroshnichenko graduated from the Kremenchug Flight School in 1975, the Russian Academy of Civil Aviation in 1982, and the Lufthansa Flight School in 1998. Captain Miroshnichenkos extensive experience and stellar professional reputation have earned him the position of an A32x flight instructor. He resides in Moscow, Russia. As AirSimmers Technical Advisor, Captain Miroshnichenko has ensured that the AirSimmer team achieve its primary goal of creating completely accurate aircraft simulations. Captain Miroshnichenko consults on all aspects of AirSimmer A320 Family programming and design. Nikolay Efimov resides in Toronto, Canada. He holds a Private Pilot License and flies the C150, C172, C182, PA-28 and PA-44 aircraft. He has Level D Simulator experience on B767 and A320 (CAE) and has been a dedicated simmer since 1994. Nikolay Efimov is actively involved in a variety of virtual flight organizations, including British Airways Virtual Airline and VATSIM. Mr. Efimov serves as the VATSIM online traffic controller and pilot with over 2,000 cumulative online hours, specializing in creating training materials and guiding novice SIM pilots. 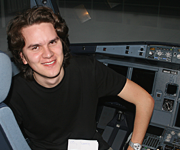 Aside from flying in real life and on-line, Nikolay Efimov is currently attending York University in Toronto and heads the AirSimmer Test Team. Anton Gromov works as a musician and a DJ in both his home city of Moscow, Russia and in other venues all over the world. His other passion is for flying Yak-18s and Yak-52s. 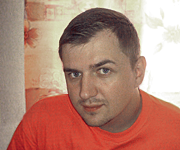 Anton Gromov is responsible for all aspects of sound editing on the AirSimmer A320 Family project. Yuri Trunov resides in Nadym, Russia. 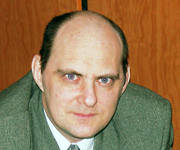 He holds a degree in electrical machines and automated design systems from the Ivanovo Energy Institute. Currently, Mr. Trunov heads the DBMS Administrators Department. His true passion has always been aviation. Mr. Trunov is a former member of the Russian Air Force. Mike Maarse resides in Aalsmeer, the Netherlands. He holds a professional degree in both Information Technologies and International Business. Having his home located right next to Schiphol airport has played a major role in becoming an FS sound guru. He started "fiddling" with aircraft sounds back in the days of FS98 and he has been at it ever since. Mike Maarse released his first set for FS2004 back in 2003 and has designed and released many more since. Mike Maarse is the creator of the AirSimmer A320 Family sound design. Aleksey Litvinov resides in Khabarovsk, Far East, Russia. A graduate of Khabarovsk Technical School of Railway Transportation, he began his career as a radio technician before going on to hold a series of positions in the IT field. 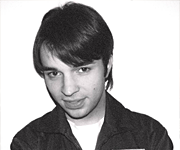 Prior to joining Oyster Bay Media International as the Lead Programmer on the AirSimmer project, he worked at several state and private IT-related entities as a computer programmer. 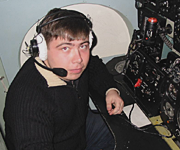 A virtuoso programmer, Mr. Litvinov is the creator of the SCS Tu-134 navigation subsystems of CBT quality for Microsoft Flight Simulator and has extensive fixed-base flight SIM experience on the An-26, IL-62, and Yak-40. 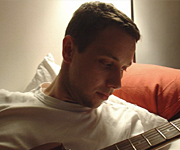 Mr. Litvinov is responsible for the creation of unique AirSimmer graphical concepts and technologies. went on to receive a second Masters Degree in Computer Systems and Networks at the Saint-Petersburg State Polytechnic Institute. 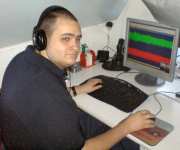 Mr. Egorovsky has been employed as a professional TV network engineer for 8 years and an active simmer for the last 6 years, which developed into a professional SIM programming career in the past 3 years. Andrew Egorovsky is responsible for the design and programming of a number of AirSimmer A320 Family stand alone configuration utilities.